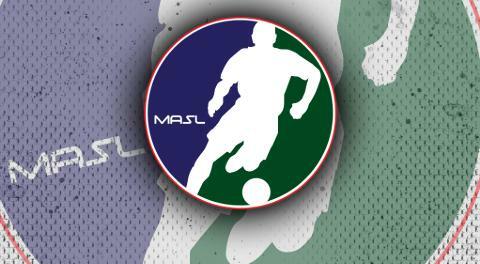 KANSAS CITY (Dec. 18, 2018) –The Major Arena Soccer League (MASL) Week Three Team of the Week was announced this morning. Players named to the Team of the Week will be eligible for the Week Three Player of the Week award. The Player of the Week is voted on by a combination of fans and the member teams of the MASL. 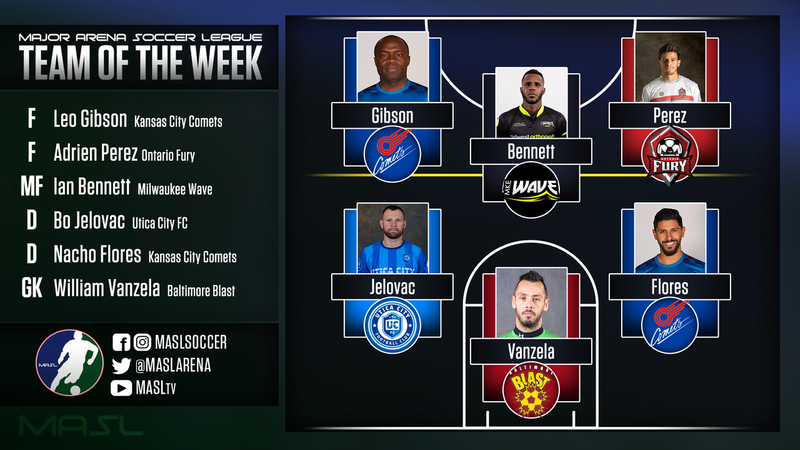 William Vanzela (Baltimore Blast) – Vanzela makes the Team of the Week for the second straight time this season. On the road, he helped his team grit out a win. After allowing a goal midway through the 1st quarter, Vanzela refused to budge the rest of the game, allowing his team to earn a road win. Bo Jelovac (Utica City FC) – Utica City FC remains undefeated at home this season thanks a lot to the efforts of Jelovac. With a philosophy of the best defense is a good offense, the veteran defender scored four goals and assisted on another against their Eastern Division rival Harrisburg Heat. Ignacio ‘Nacho’ Flores (Kansas City Comets) – Flores started off his three-game weekend with a four-goal effort on Thursday night against the Mississauga MetroStars. Then, at home on Saturday, he added another goal and assist for Kansas City’s Home Opener. Ian Bennett (Milwaukee Wave) – Two games and two Team of the Week awards for Wave veteran Bennett. He was able to hold off the Comets with four goals and an assist to keep the Wave undefeated on the season. Leo Gibson (Kansas City Comets) – Gibson led all scorers across the league this weekend with 13 points across three games. He started with a six-point game (three goals, three assists) in Canada before returning home with a goal and three assists on Saturday and then capping off the week with two assists and a highlight-worthy bicycle kick score on Sunday. Adrien Perez (Ontario Fury) – Perez has made a home on the MASL’s Team of the Week, earning the honor for the third straight week. This time, away from home, Perez scored a hat trick in the first half against the Tacoma Stars. He added an assist and a fourth goal in the second half to solidify his team’s win and their first-place position in the Pacific Division.